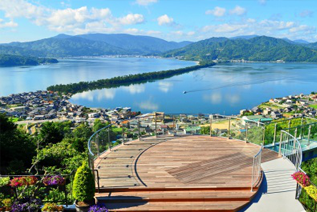 Enjoy magnificent scenery, Japan's Top 3 Scenic Views, Amanohashidate town. 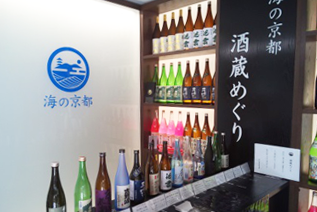 Local sake wine for Local sake... You can enjoy it with your family. 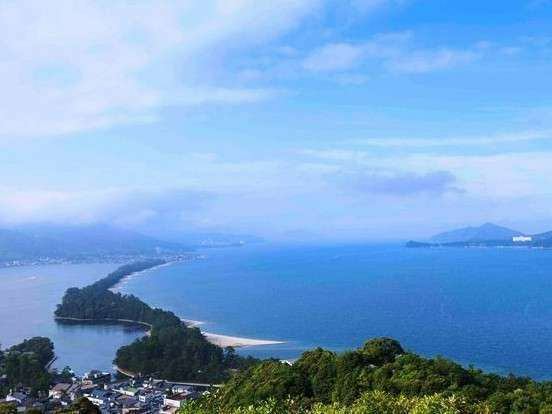 It is a park located in Mt MonjuYou can see Amanohashidate from the south side. The view from here is called Hiryukan (the skyward dragon) Hiryukan (View of the Skyward Dragon) from Amanohashidate is like a dragon dancing in the sky. Next to Amanohashidate Station Miyazu city only outside hot water "hot water of wisdom" is, Two heads are better than one in the famous Japan's 3 temples dedicated to Monju of one Chionji Temple Monju Bosatsu of wisdom and health is pardoned as It was named.There is also a unique bathtub such as open-air bath and hand-foot hot water in the inner bath, and you can enjoy "Amanohashidate Onsen" known as hot water of beautiful skin. 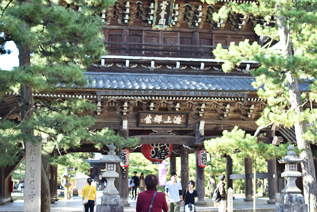 One of the Japan's 3 temples dedicated to Monju.Chie is famous as Monjusan to bestow the, you and the students that declined to such examination and qualification test, their families will come to pray. It is a rare bridge that makes a passage by turning the middle part of the bridge 90 degrees when the ship moves.Amanohashidate And Monjudo is a bridge that connects Amanohashidate And Monjudo the land of Amanohashidate And Monjudo, Amanohashidate And Monjudo around 50 times around the day.It is a spot that I would like to visit with a camera! 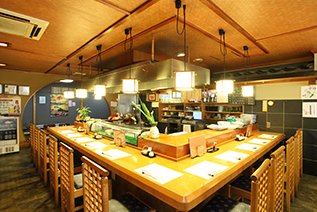 A facility popular with 500 yen Local sake tasting corner with appetizers using locally made ingredients for 3 o'clock. 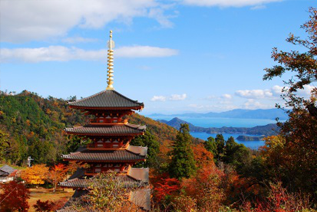 You can learn about Amanohashidate simple way. The park in the middle Mt Nariai is, the opposite side of the Amanohashidate View Land, is a view place with views of the Amanohashidate from the north.The view from here is called "Shoryukan" (Shoryukan), which comes from the fact that Amanohashidate looks like a dragon rising into the sky. 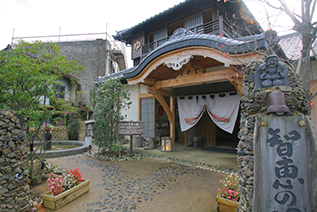 It is also famous as the birthplace of "Matanozoki". 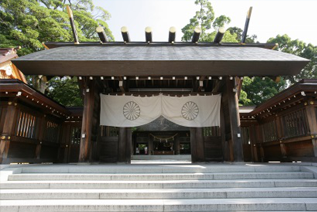 Ise Jingu Grand Shrine Old Shrines and Temples called "Motoise" from the story that the Amaterasu Omikami, Toyouke no okami and others Toyouke no okami are adored to Ise Jingu Grand Shrine was transferred from this place to Ise. It is located on the middle of Mt. Mt Nariai which wants the Amanohashidate, Saigoku Kannon Pilgrimage The 28th Temples.Bonjin is a Migawari Kannon Syokanzeon Bodhisattva, famous for its Migawari Kannon, Bijin Kannon. 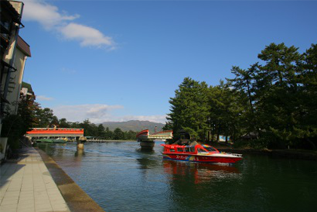 You can visit Kasamatsu Park with car or cable car and take a climbing bus from there. Within the facility you can see a wine brewing tank and a bottling room through the glass, and you can also visit the underground cellar. 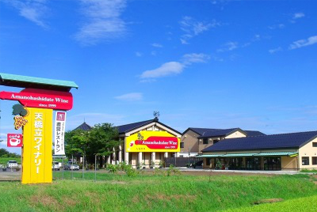 (Group reservations required) Tasting available, lunch buffet is also available at the restaurant. 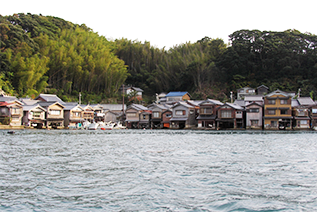 It is located on the second floor of the Miyazu Fishing Association.The fishermen after the seri are visiting the meal as it is.Sea Near Miyazu because seafood that has been caught in the Sea Near Miyazu, freshness, taste proven! To drive and touring meals! 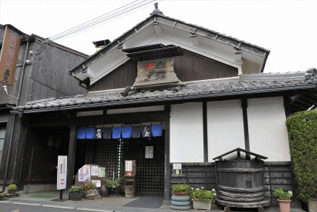 Traditional sake brewery that continues from the Edo Time Period (1603-1867) Miyazu City.From famous things such as "Koden" "Shuten Doji water", plum wine, strawberry sparkling and other souvenirs to please women.There are also sales of madeleines and puddings. The Funa-ya, very unusual building the second floor the first floor in the garage of the ship that residence.There are about 230 Funa-ya shops lined with Funa-ya Ine Town.※Preservation District for Groups of Historic Buildings We have received selection of Preservation District for Groups of Historic Buildings of Preservation District for Groups of Historic Buildings. 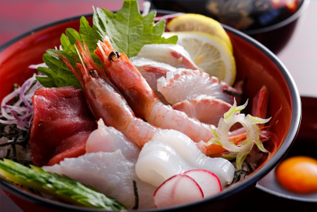 We are honored with a dish using fresh seafood which was fried in the Miyazu Fishing Association the morning of that day at "Hotel Tango Kappo Tango" on the first floor of the Hotel Tango familiar with fresh crab and seafood dishes. Copyright ©2018 天橋立荘 All Rights Reserved.